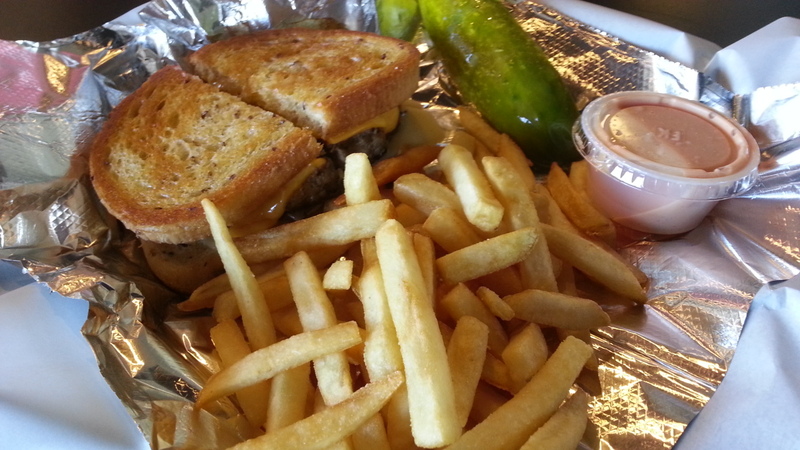 Yet another treat from Nick’s Gyros #1 which may surprise you is the Patty Melt. Listed on the menu as “Juicy all beef burger patty with grilled onions, swiss & american cheese on grilled rye bread served with thousand island dressing” and priced at $4.99 this baby is a steal! An extra $2 makes it a Combo with fries (pictured) and a drink.